If you haven’t yet read part one of this series, which you can find HERE, I recommend you do so prior to continuing. In this article i’m going to expand on a few of the concepts discussed in the first part of the series, as well as introduce a few new concepts. To start, there is a minimum threshold in terms of intensity that must be crossed in order to disrupt homeostatic equilibrium and improve a given training characteristic. In the same vein of thought there is often a maximum threshold, for intensity, beyond which a given characteristic is no longer being trained optimally. Often times increased effort beyond the minimum threshold does not yield additional gains in performance; and if it does the margin is simply not large enough to justify the additional fatigue and mechanical stress. In other cases effort beyond the maximum, intensity, threshold yields a different functional adaptation all together. In order to elicit significant hypertrophy of one’s slow-twitch, oxidative, fibers one must present a highly specific stimulus. If the intensity is too low, or high, the effects will range from insignificant homeostatic disruption to fast-twitch fiber recruitment. Neither of which accomplish the specified goal. In order to elicit ST fiber hypertrophy one should apply ~30-50% intensity in a static-dynamic fashion such that there is constant tension on the targeted muscles. Which prevents blood flow, consequently leading to hypoxia and an increase in GH. Also note that tempo, and range of motion, must be manipulated to achieve the desired result as well as an increase in rate of force production will recruit the fast twitch fibers and full ROM will take tension off the targeted muscles. Similarly there is a minimum threshold required to produce significant FT, glycolytic, fiber hypertrophy. Barring changes in TUT, metabolic stress, etc one should select a load of 60% or higher in order to cause significant hypertrophy in the FT fibers (with total volume, above said threshold, being the largest contributing factor). However, exceptionally large increases beyond this threshold (80-85% <), whilst controlling for volume, yield similar hypertrophic gains, but at the cost of an exponential increase in fatigue/ mechanical stress. Relative to the training philosophy you prescribe to the nomenclature used to describe sub-threshold aerobic efforts differ. However, similar principles can be found across the board. 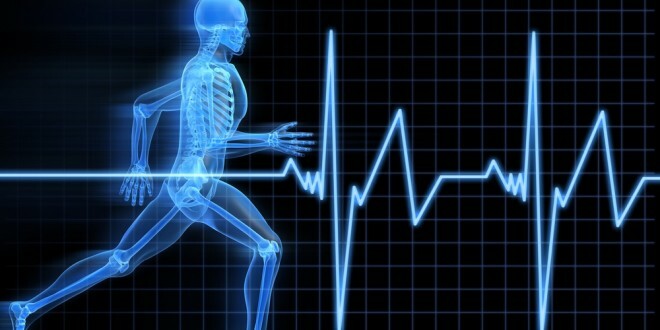 The first principle is that work below a given threshold, often referred to as Z1, EN0/EN1, MAP10, or simply recuperation work stimulate the aerobic system without causing significant physiological adaptations often associated with endurance work (angiogenesis, increased stroke volume, hypertrophy of the heart, improved lactate threshold etc). Conversely, energy system work above a given threshold will decrease muscle’s abilities to function, damage mitochondria, and place intense stress on the cardiac system. In order to improve one’s lactate threshold specific work aimed at stimulating left ventricular cardiac hypertrophy, also known as eccentric cardiac hypertrophy, should be applied. According to Dr. Viktor Seluyanov one should perform, aerobic, work within the range of 120-150 BPM to elicit this adaptation with total volume of work, not intensity, being the variable that one should manipulate for further development of this characteristic (note that HR ranges will vary based on the individual). If one were to perform work under said ranges they would not hypertrophy the left ventricle to a significant degree; and if the work was performed too high above said ranges the the functional adaptation would be concentric cardiac hypertrophy. Which causes a thickening of the heart, increase in pressure, and a net decrease in stroke volume. *For those interested in the example above I recommend checking out Dr. Viktor Seluyanov’s lecture titled, “Biologically determined concepts for athlete preparation”. Which I was introduced to, at a seminar, through a lecture given by Aaron Davis of Train Adapt Evolve (You can find his summary of Seluyanov’s concepts HERE). 3. Is there a minimum intensity threshold for resistance training induced hypertrophic adaptations? The same principles, described above, also apply to the net training, and stress, load. As with increased intensity, an increase in volume does to always yield an additional, positive, adaptation. Which is contrary the the “more is better” mentality that pervades the fitness industry in it’s current form. While I covered the concept of “maximum recoverable volume” in part one of this series, I want to expand on it a bit by adding the concept of “minimum effective dose”, defined as the least amount of stress needed to disrupt homeostasis/ create a functional adaptation, into the mix. I’ve covered this topic extensively, HERE, so rather than rehashing information i’m going to keep this section fairly brief… As i’ve previously mentioned our perceptions of effort, and the degree to which we are psychologically stimulated, influence the way we adapt to training as well as the degree to which said training sessions tax our bodies. While this is a fairly complex topic the implications, and the subsequent application of principles, is simple. Rather than getting as amped up as possible before every session, or lift, we should let the intensity, and importance, of work dictate the degree to which we we allow ourselves to be aroused. After all, do you really need to snort Jacked-3D before a moderate effort, technique, based session? While this may seem like common sense I see athletes approach their training with the wrong mental framework all too often; and after all those who are easy to heat are also the easiest to cool. Whereas those who maintain composure, and never get too high or low, tend to make the best progress long term. Tangentially related to the above points, pertaining to working smarter, is the concept of programmed detraining. As it currently stands the longevity of elite athletes, in the sport of fitness, are short and ever decreasing as the demands of training escalate at an exponential pace. I’d argue that intentional detraining blocks would not only increase longevity, but also improve performance in the long term. Empirical evidence shows that the magnitude of effect that we receive, from training, over the course of our athletic career diminishes with time (Aka- beginner/ novice gains). One such reason for this is that we become sensitized to intracellular signals whose mechanisms are triggered by resistance exercise. Another reason is the “repeated bouts effect”, which states that “Unfamiliar, predominantly eccentric exercise, frequently results in muscle damage. A repeated bout of similar eccentric exercise results in less damage”. One way to restore sensitivity to the aforementioned signals, and decrease the repeated bouts effect, is to take a planned chunk of time off training. However, this is not where I see the greatest potential use for detraining blocks. Instead I believe they should be used for extensive periods post competition as a means to decrease microtrauma to muscles, restore hormonal balance, improve fascial quality, and re-heal an athlete’s GI system. While a month off isn’t necessary for all, or most, athletes I do think it has application for higher level crossfit competitors. Baring training induced stress the average crossfit regionals competitor would have performed 2339 reps between the open and regional events. When accounting for the run throughs of said events, and daily training, it is likely that a given athlete accumulates 20,000+ contractions in the intensification and competition phase of their training alone. If we look at the big picture and analyze their entire training year this number increases multiplicatively. Which means the body is in a constant, catabolic, state of playing catch up with no time to truly repair itself. If this cycle, of constant stress, continues for too long the body’s hormonal system also begins to take a hit, adrenal dysfunction occurs, and the potential for catastrophic injury increases. So, in this regard 2-4+ weeks off at the start of the offseason can save an athlete months lost to injury or sickness in season (Also note that research shows adaptations incurred through, past, progressive overload are kept for extended periods of detraining).